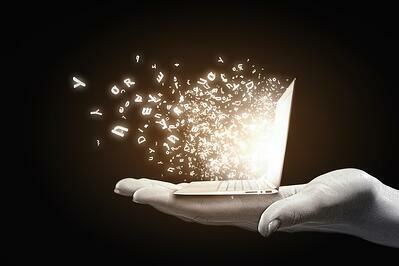 In marketing, content is tailored to a target audience and aims at providing them with value. This can also be applied to recruiting. As an employer, you should provide your potential applicants with content that will spark interest and excitement for your company. In some cases, candidates are not actively looking for a job and also haven't worked with you as an employer. Through relevant content, you can also make sure that passive candidates perceive you as an attractive employer and consider making a switch. What types of content are there? There are a lot of different content types. You should pick the type that works best for you. With such recruiting content tailored to your target group, you can convince applicants and also reach passive candidates. How do you start creating content? First, you have to determine your candidate persona. This represents the target group that you want to reach as an employer. Once you've set your target group, you'll also be able to better decide what kind of content would appeal to that audience. In the next step, you should find out which channels your target group utilizes. Only then will you know where to share your content in order to reach your target audience. Get your audience to convert. For example, offer e-books or other content that can be downloaded by entering their e-mail address. With this information, you can stay in touch with the potential candidates. You shouldn't solely stay in touch with the people in your audience who download content. Offer candidates the opportunity to join a talent pool to keep up to date with company news. This will allow you to gradually build relationships with potential applicants and convince them that your company would be a great employer. In the best case scenario, candidates will be so excited about your recruiting content and subsequent actions that they apply and are hired. A successful example of a target group-specific landing page is provided by Fincon Management Consultancy. This landing page is specially addressed to Java developers. 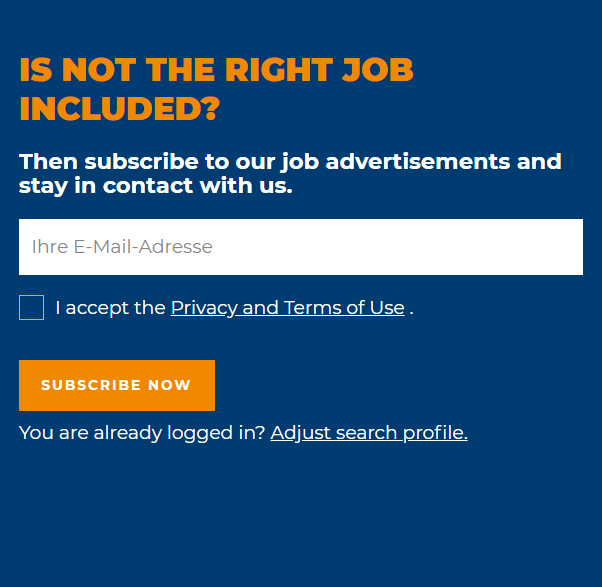 The page contains target group-specific language, a list of suitable jobs and the possibility to sign up for a job subscription. 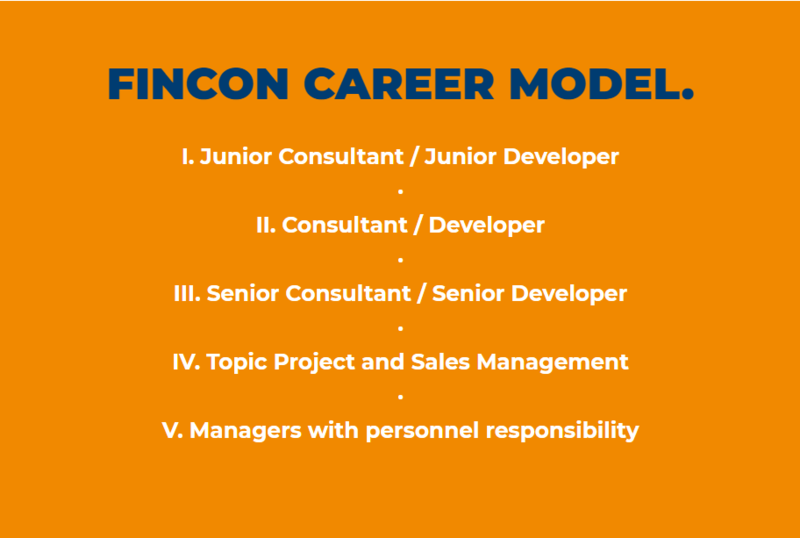 In addition, the potential candidates will be shown a possible career development path and information on the various occupational fields offered. Furthermore, important data and facts regarding the company and the added values are listed. 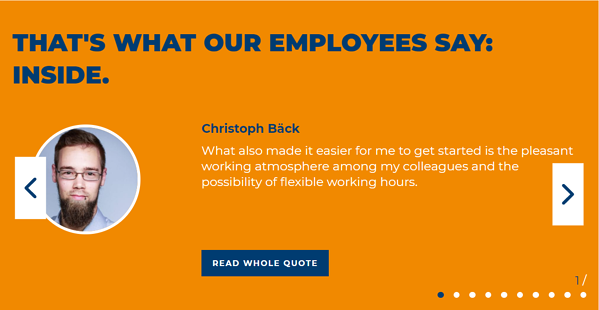 Authentic employee quotes and reviews complete this landing page. We're here to help you create recruiting content and use it properly for your business. Request a demo here.